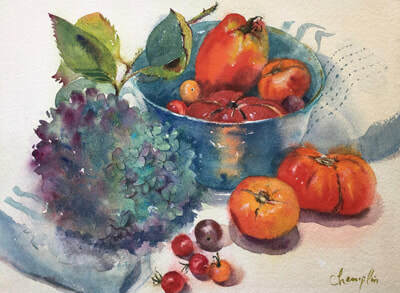 Vera Champlin’s paintings celebrate the natural world captured in atmospheric plein air views and through still lifes of flowers, fruit and vegetables. 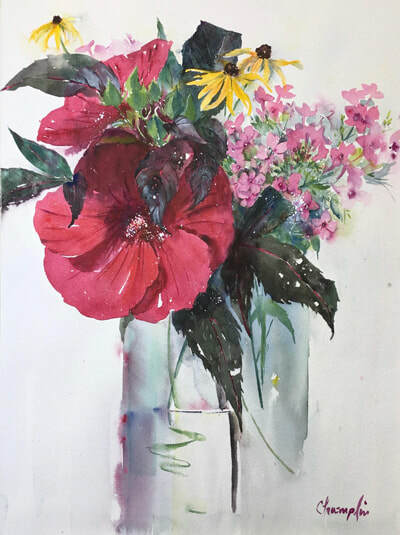 In addition to spending the summer of 1969 at Skowhegan School of Painting and Sculpture, Ms. Champlin earned a BFA in Painting and Graphics from the University of New Hampshire in 1972. 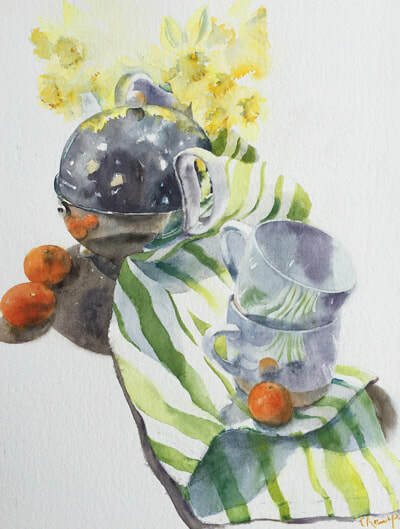 Since 2000, after a background in dance, pastry arts and retail, Ms. Champlin shifted her focus to the mastery of watercolor and has garnered awards from a number of art associations. 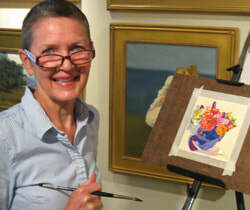 Further, Ms. Champlin has been featured numerous times in American Art Collector and in International Artist Publishing’s “How Did You Paint That? 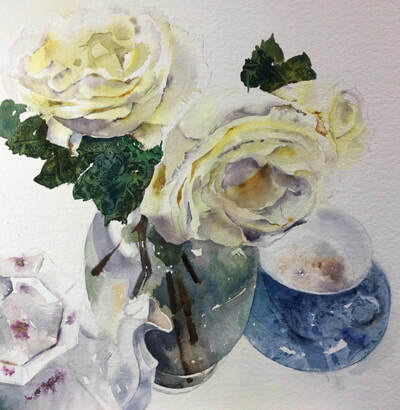 100 Ways to Paint Your Favorite Subject.” Her teachers have included Christie Velesig, Arnold Desmarais, Mel Stabin and Mary Whyte. 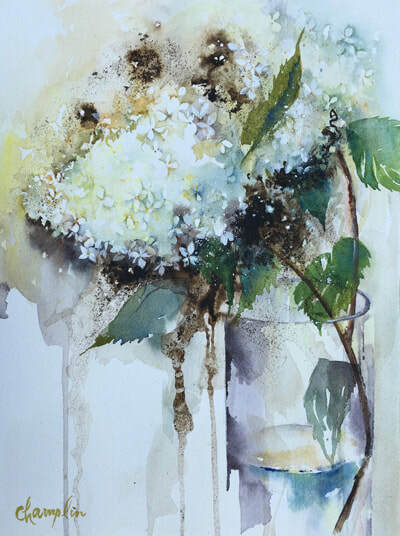 Ms. Champlin continues to work closely with collectors and win honors with her paintings in juried shows. Ms. Champlin lives in Chatham, Massachusetts with her husband Peter and has two children, Nell and Waldo, both in the worlds of college and moving into careers. 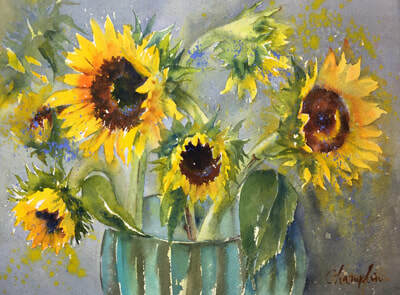 When not painting her passions include her gardens, flowers, ballet, and traveling throughout France. 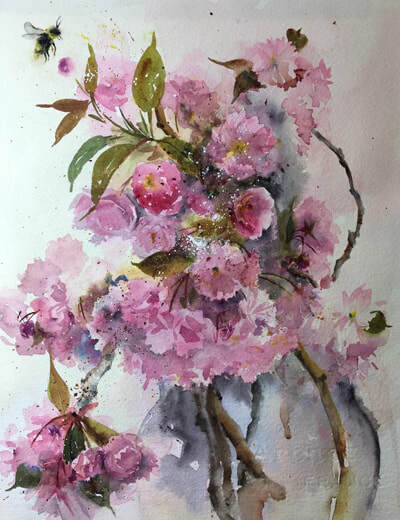 My ideas about what is beautiful and what has meaning began with my grandmother. She celebrated nature and the seasons through her gardens and flower arrangements. I too, draw my inspiration from the beauty of the natural world. 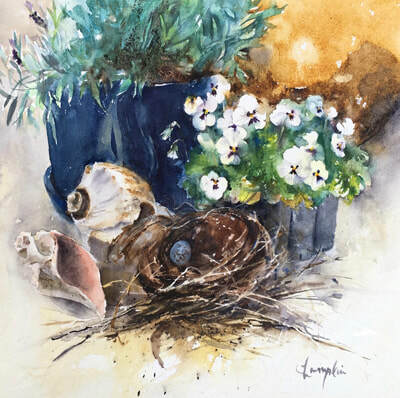 Living on Cape Cod provides abundant inspiration from the beauty of its marshes and shorelines to the joyful displays of Cape flowers and gardens that bathe in its special light.